Grinding is usually one of the final steps in manufacturing a tool from tool steel. This step involves removing stock to achieve the final desired dimensions, producing a smooth finish on the tool surface with minimum residual stress and low distortion. There are many types of grinding including surface, cyclindrical, centerless, internal, thread and form or contour grinding. Great care must be taken when grinding tool steel. Improper grinding may lead to cracking or chipping problems during the use of the tool. Great tool steel won’t solve poor grinding practices. The type of carbides formed in the tool steel, such as chromium or vanadium carbides, will affect the stock removal rate and the amount of heat generated. 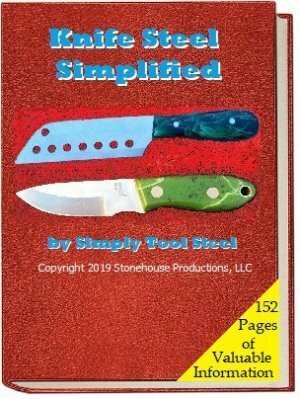 Custom knives undergo a tremendous amount of grinding during the production process and our new book "Knife Steel Simplified" reveals the grinding precautions, tip and tricks necessary to produce high-quality custom knives.